It feels as though it’s been in post-production forever, and is coming out sometime next year I assume, but finally – here is the first poster for the film. If you didn’t know, it’s a biopic of Coco’s life before Chanel – focussing on her childhood in the orphange where she learnt to sew, and early womanhood. 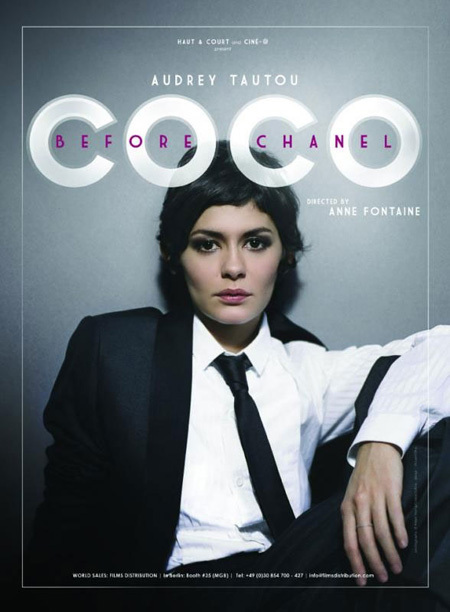 It’s directed by Anne Fontaine and stars Audrey Tatau as the Coco Chanel. Also, it’s going to be in French, which may have been obvious but I only discovered now! While Chanel is most likely more famous for the little black dress and perfume, I love the more androgynous, menswear influenced designs she created – which is probably why I love this poster so much!